There are few British or Irish golf clubs that can claim a direct link with the great Ben Hogan. One that certainly can is Panmure Golf Club, situated on a rugged piece of rolling linksland just over a mile west of Carnoustie. It was there that Hogan, together with caddie Cecil Timms, practiced for a fortnight ahead of his victory at Carnoustie in his sole appearance in The Open back in 1953. To this day, a visitor can find a bunker at Panmure that was built on the recommendation of the great man himself. 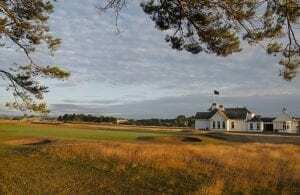 The Panmure club was already more than 100 years old when Hogan arrived in Scotland to complete the third leg of that year’s Triple Crown, but the course where he practiced did not open until the end of the 19th century. There is some speculation that four-time Open champion Old Tom Morris had a hand in the original design, but what we know with a great deal more certainty is that five-time champion James Braid drafted plans for a redesign in the early 1920s, and with the odd exception, today’s course remains much as he envisaged back then. 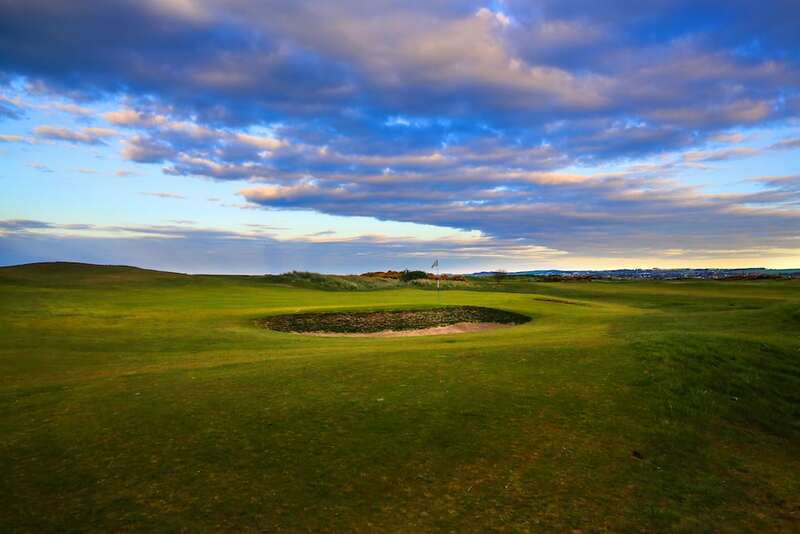 Panmure is not long at 6,551 yards, but it is tight and lined with gorse and heather and challenging enough to have staged both Open Championship and Women’s Open Championship Final Qualifying as well as numerous Scottish national amateur events. The course starts gently enough with a short par four and a 488-yard par five, but from then onwards provides a marvelous test even on those rare days when little more than a gentle breeze is ruffling the flags. Its championship credentials are apparent on many holes, not least the tough 436-yard, par-four 10th and the 396-yard, par-four 12th, situated alongside the adjacent Monifieth links and protected by the Buddon Burn that winds its way snake-like across the fairway. There is also a fine set of short holes, starting with the 144-yard 5th with its punchbowl green and culminating with the 234-yard 15th, where par is an achievement in any weather, as well as an excellent par five, the 533-yard 14th, which is laid out alongside the main East Coast railway line that takes travelers north to Aberdeen and south to Edinburgh and was extensively remodeled by English course architect Donald Steel back in the late 1980s. However, Panmure’s stand-out hole is undoubtedly the 6th, a 414-yard par four that requires a semi-blind tee shot to an undulating fairway followed by an uphill second to a tight, raised green. The hole is named after Hogan and features the bunker referred to earlier, which sits hidden from view short and to the right of the green. It is said that in the aftermath of his Open triumph at Carnoustie Hogan was asked by the assembled media to name his favorite hole on the course. Without hesitation, but presumably with a glint in his eye, the legendary American responded “the 6th at Panmure.” It is easy to see why.